Being the leading manufacturer, supplier and exporter of Decorative Wooden Furniture, we supply the quality material to our clients. We offer the exciting range of Wooden Furniture and Modern Wooden Furniture to the vendors which are procured from fine finish. Our product is properly constructed and polished. 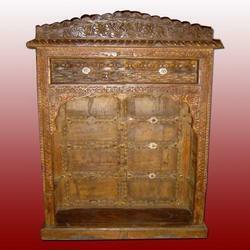 These products are durable in nature and from the high grade material. We are an accredited manufacturer, exporter and supplier of high quality Decorative Wooden Door. Professionals have given the traditional and modern look to the painting, which is enhancing the beauty of the house. Our doors are known to have elegant designs, smooth edges and flawless finish. 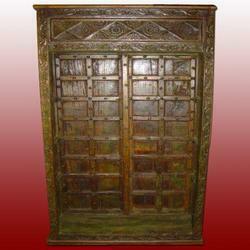 Moreover, our valuable customers can avail these wooden doors from us at reasonable prices. We are the leading organizations engaged in manufacturing, exporting and supplying a broad assortment of Decorative Wooden Rack. Our provided wooden rack is designed and crafted using premium quality wood under the guidance of experienced craftsmen keeping in mind varied needs of clients. Due to its beautiful designs, long lasting nature, marvelous quality, reliability, noted finish, eye-catching appeal, creativity, and elegance, these racks are widely demanded in the market. 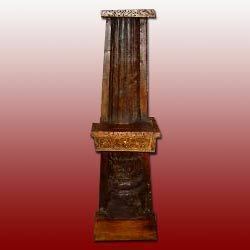 Owing to our expertise, we are manufacturing, exporting and supplying a wide assortment of Decorative Wooden Pillar. The wood used in the fabrication of these pillars is of optimum quality, which makes them strong and robust. These wooden pillars are available in various colors and designs to cater diverse requirements of our customers. These pillars are water and scratch resistant with impeccable finishing.